See photos below of the celebrations but to learn a little about our beginnings you may like to read a couple of memories published on our web site. These can be found below from Betty Sutcliffe and on this link: Toast to Salford U3A . 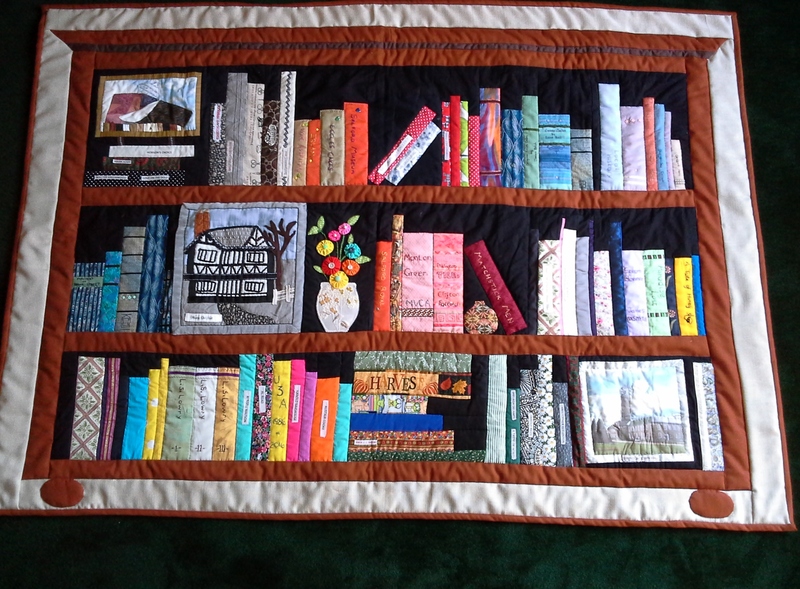 The Salford U3A quilt was made by our quilting groups for our 30th year celebration meeting; its final place of display has yet to be finalised. But in the meantime it has been on display at the Harrogate Quilt show (see recent photo on Quilter’s page). In the summer of 1986 we were living on Ireland’s West Coast, in a rented house where the radio was not of the best and BBC radio reception left a lot to be desired. One day I tuned in to a talk in progress and heard at the end that it was about an organisation called the U3A being set up in Cambridge to offer new educational opportunities to retired people on a self-help basis. As a former C.A.B. organiser myself, I wrote to the Cambridge Citizens’ Advice Bureau to ask for details and was given the address of U3A in London. I wrote to ask for more details and was put in contact with a Dublin contact but we were unable at that stage to proceed with setting up an Irish U3A. As we were shortly to leave Galway University where my husband Harry was working, I put the U3A connection on hold until our return to Manchester. Some weeks after returning, I saw a notice in the Salford Advertiser that there was to be a meeting at Eccles Library of people interested in setting up a U3A branch for this area. I went to hear Helen Wickham explain what was involved, supported by Jim Soulsby, a lecturer at Preston Polytechnic. The meeting was very well attended, much to Helen’s surprise. They did not consider it wise to call it a University in case this might put off some of the people whom they hoped to involve: those who had been unable to take an education because of the war. ‘Life Long Learning’ was the alternative title which met the approval of all those present, so allowing the organisation to be set up here. There was a call for officers to which I responded along with Edna and Rupert Nuttall, with Alan and Lucy Marsh so the first meeting took place at our home. Helen, who was the wife of the Bishop of Middleton, did not wish to play a leading role. I then became Chair, Edna became the Secretary and Rupert the Treasurer. We quickly began a number local group activities, with enthusiasts such as Jack Catlow, Edith Houldsworth and Penry Williams covering topics ranging from English Literature to Birdwatching. At the time, Harry (my husband) was walking with friends in the French Alps. At a High Refuge he was greeted in very good English by the Warden, who told him that she had learned the language with the Université du Troisième Age. This was his dramatic introduction to the concept! On his return home he was told there was a U3A being established from his home and that he was the leader of the Walking Group. All involved were very excited about the possibilities, and Life Long Learning has indeed already fulfilled many of our early plans. Helen’s imagination and inspiration drove it forward initially and it continues to fill many gaps in the lives of retired people in this area and others, as I was asked to set up inaugural meetings elsewhere in the North West. I am so pleased that it has thrived, and trust that it will continue to develop and devise new strategies to meet the needs of the many retired local residents. Good wishes to all.